A new wireless charging accessory has come into existence which has been designed specifically for the new Tesla Model 3 vehicle in mind. That’s right, Nomad has debuted a new wireless charger that fits perfectly into the dash of the new Tesla Model 3 vehicle. 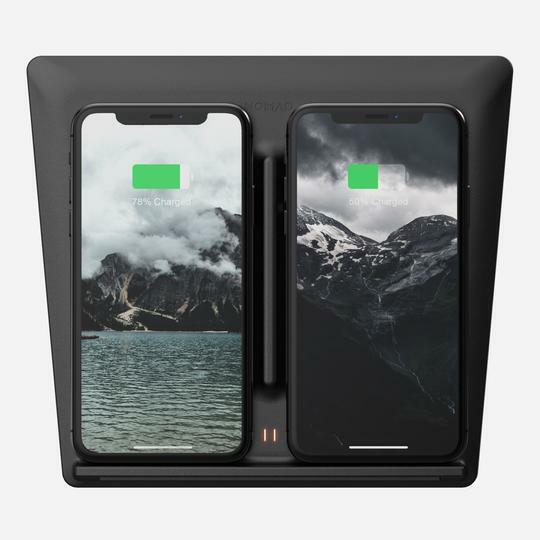 The accessory is a wireless charging dock for the iPhone X, iPhone 8 and the iPhone 8 Plus. Moreover, it will also charge the future versions of the iPhone unless Apple decides to change the Qi wireless charging standard. Let’s dive in to see some more details on the Tesla Wireless Charger and what does it have in store for users. As mentioned earlier, the Tesla Wireless Charger has been announced by Nomad specifically for the Tesla Model 3. The accessory fits into the dash of the vehicle and connects to the two USB-A ports in the car. 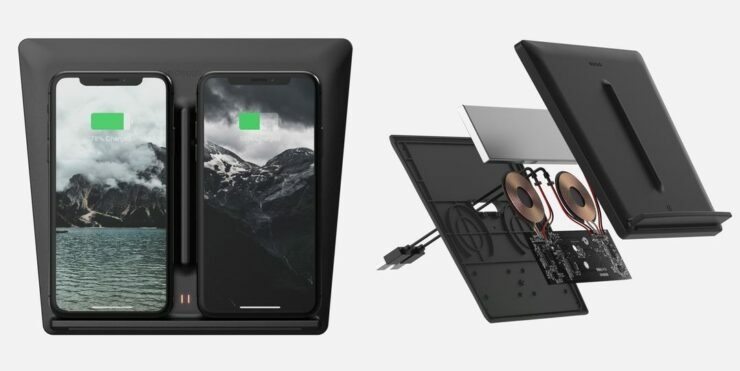 With the dual USB-A connection, the Tesla Wireless Charger offers 2A of power that can fast charger with 7.5W for the iPhone. There are two wireless charging pads built inside the device, so you can charge two iPhones at the same time. You have to keep in mind that even though the Tesla Wireless Charger has been designed for the iPhone, you can charge any other device that supports the Qi wireless charging standard. 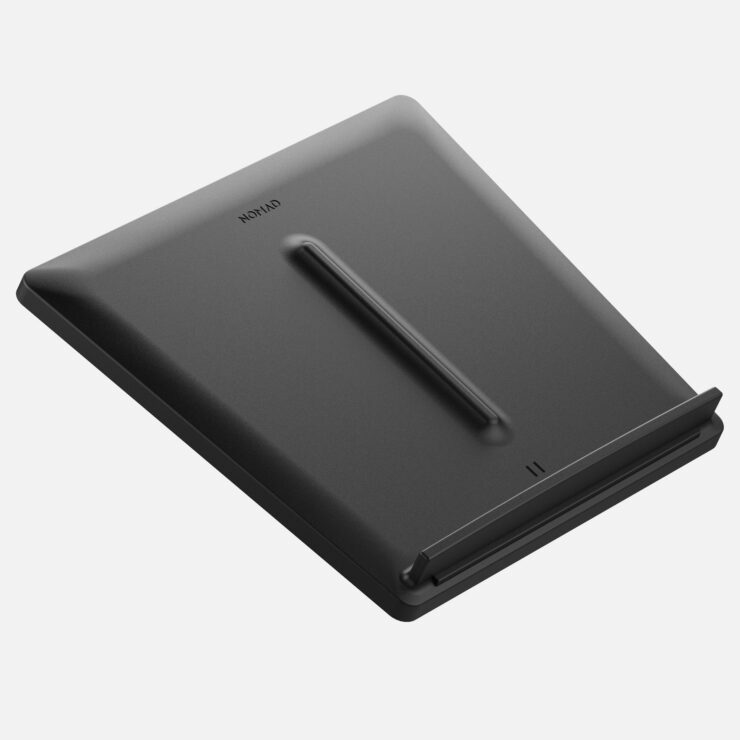 Moreover, you will also get an anti-slip rubber case so your devices stay in place while the car is on the road. If your device has a smaller form factor, the company has also included optional spacers. Moreover, the built-in LEDs notify the status of your device’s battery percentage. If you’re interested, Nomad is selling the Tesla Wireless Charger for $150. If you pre-order the accessory from Nomad’s official website, you will get a $20 discount. The accessory is available for pre-orders starting today, so be sure to order one for yourself. The shipments of the Tesla Wireless Charger will start on the 1st of September. There will be more to the story, so be sure to stay tuned in for more. This is all for now, folks. What are your thoughts on the Tesla Wireless Charger? Let us know if you’re willing to give it a swing.